The Republican presidential nominee in 2012, Mitt Romney, denounced the party’s current presidential frontrunner, billionaire Donald Trump, in a remarkable speech Thursday at Utah State University. In the 20-minute address, broadcast by all the cable networks to a national television audience, Romney called Trump a fraud, a threat to democracy and a man grossly unfit to be president. The speech lays bare deep divisions within the US ruling class as a whole, which are ripping apart the Republican Party. Romney, who made his fortune in private equity investing, focused his criticism on Trump’s positions on economic and foreign policy. Trump’s nationalistic economic policy “would instigate a trade war that would raise prices for consumers, kill export jobs, and lead entrepreneurs and businesses to flee America,” he said. In terms of foreign policy, Romney warned that Trump’s anti-Muslim rhetoric was alienating US allies in the Middle East and helping ISIS, and he attacked Trump’s professed admiration for Russian President Vladimir Putin. It is unprecedented in US history for the titular leader of one of the two major capitalist parties to go on national television to denounce his likely successor in such terms. With this declaration, Romney would seem to have burned any bridges to supporting Trump if he goes on to win the Republican nomination. Trump’s rise has been fueled by his demagogic and empty appeals to widespread anger, under conditions in which the Democratic Party and what passes for the “left” in American politics, no less than the Republicans, have pursued a policy entirely dedicated to the enrichment of Wall Street. The immense tensions within the United States are provoking sharp conflicts within the ruling class itself and threatening to break apart political institutions that have existed for generations. The signatories include former Bush administration officials like Michael Chertoff, Eric Edelman, Peter Feaver, Frances Townsend, Philip Zelikow and Robert Zoellick, as well as academic and media advocates of the war with Iraq like Max Boot, Eliot Cohen, Niall Ferguson and Robert Kagan. As this list of war criminals and their apologists demonstrates, those figures in the Republican Party opposed to Trump are just as reactionary as the billionaire demagogue. They object to his social demagogy, however limited, because the next administration, whether Republican or Democratic, will be tasked with the destruction of what little remains of a social safety net in the United States. They fear that by his inflammatory language and bullying tactics, a Trump nomination, let alone a Trump presidency, could provoke political explosions both internationally and within the United States. Romney’s critique of Trump notably leaves out entirely the long history of Republican Party collaboration with and encouragement of racist and antidemocratic forces, going back to the southern strategy of Richard Nixon, which sought to co-opt the George Wallace movement—the political figure whom Trump most closely resembles in his style and political focus, if not biography. Romney called on Republican voters to support any of the remaining three candidates opposing Trump—Texas Senator Ted Cruz, Florida Senator Marco Rubio or Ohio Governor John Kasich—voting tactically for whichever was best positioned to defeat Trump in their state. In effect, he was calling for the decision on a nominee to be thrown into the Republican National Convention set for July 15-18. 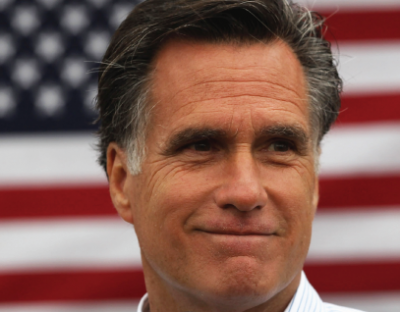 Romney’s denunciation of Trump received immediate support by leading figures in the Republican Party establishment, including Senator John McCain, the Republican presidential nominee in 2008. There was a wave of approving commentary in the American media. Both Senate Majority Leader Mitch McConnell and House Speaker Paul Ryan have declared that they would support Trump if he wins the nomination. Most big financial backers of the Republican Party have held back from any direct confrontation with Trump, led by the Koch brothers, the billionaires who have already poured $400 million into Republican campaigns for 2016. A Koch spokesman reaffirmed after Romney’s speech that they would take no position in the presidential primaries. Romney’s speech dominated media coverage leading up to the debate Thursday night in Detroit, where the four remaining Republican candidates took the stage in the Fox Theatre. The first question posed to Trump was to respond to Romney’s remarks, which he did in typical fashion, attacking Romney as a “failed candidate…who should have beaten President Obama” very easily. Neither his three rivals nor the trio of moderators from Fox News sought to press the issue, and Romney went unmentioned for the rest of the debate. But the final question posed to all the candidates was whether they would commit themselves to support the Republican nominee. Cruz, Rubio and Kasich all pledged to support Trump if he won, while Trump pledged to support the eventual nominee if he lost. The entire debate consisted of efforts by the four candidates to strike the most right-wing possible posture on every question raised—immigration, terrorism, social issues like gay marriage and abortion and military spending. There was little or no discussion about the actual conditions of life facing hundreds of millions of working people. When, after 90 minutes of a debate in Detroit, the interviewers finally asked the obligatory question about the lead poisoning of children in Flint and the mass unemployment and deindustrialization throughout southeast Michigan, the candidates had difficulty disguising their lack of interest in the subject. They either made perfunctory statements of sympathy, or, in the case of Cruz, took the opportunity to launch into a diatribe against any interference with the operation of the market. In their prepared summations at the end of the debate, Trump, Rubio and Kasich repeated familiar, empty phrases. Cruz, however, again struck the most openly right-wing stance, making an extraordinary appeal to soldiers in the military and to police officers to support his campaign, pledging to end all restrictions on their use of force, and, in the case of the police, to “have their backs” against any criticism of the wave of police killings of unarmed citizens.